Upon arrival at the Bagdogra Airport/NJP Railway Station Our representative will be there to receive You at New Jalpaiguri Railway Station (NJP) / Bagdogra Airport (IXB) / Tenzing Norgay Bus Stand (Junction) and get transferred to your hotel. Due to the proximity with three international borders, this place is strategically very important. Here's what's in store for you: Standing high in the Himalayas at an altitude of 2134 metres, ‘Dorje Ling. The Land of Thunderbolt'. Khangchendzonga - the world's third-highest mountain range is clearly visible from Darjeeling, which attracts a number of tourists towards its vantage point.. Often referred to as the 'Queen of the Hills', Darjeeling remains just as alluring with its tiny waterfalls, little villages and a narrow gauge railway track. Surrounded by World Famous Tea Gardens and snow-capped mountains. Check into hotel - Evening free to roam around Mall or local Shopping center - Over Night stay at Darjeeling. Early in the morning about 4:00 am, head to the Tiger Hill to get a mesmerising view of the sunrise. From this point, the soaring peaks of Khangchendzonga and Mount Everest appear to be touching the azure sky. When the sun rays fall on these mountains, the whole valley is painted in golden hues, which is an unforgettable and breathtaking sight. After beholding the bounty of nature, On the way back visit Ghoom Monastery, Peace memorial & Batasia Loop Ghoom Monastery en route. Alternatively known as the Sakya Monastery, it was established by Lama Sherab Gyatso in 1875. This monastery houses a 4.57 m tall statue of Maithreya Buddha, along with precious Buddhist manuscripts and back to hotel for breakfast. After breakfast at hotel go for Rock Garden Gang Maya park. O/n at Darjeeling. 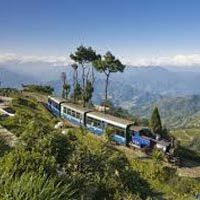 After breakfast at hotel, depart for the sightseeing Full Day city tour of Darjeeling. Padmajan Naidu Himalayan Zoological park, Himalayan Mountaineering Institute (Closed on Thursday), Ropeway, Tenzing -- Gombu Rock,Tibetan Refugee Self Help Centre (Closed on Sunday),Tea Estate, Lebong Race Course , Japanese Temple Peace Pagoda, Lal kothi, Dhirdham Temple, Ava Art Gallery, Natural History Museum (Sunday Closed), o/n at Darjeeling. 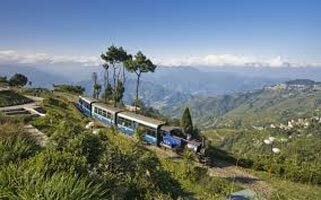 Post breakfast, proceed to visit Mirik Lake, via Nepal Border Full day O/n at Darjeeling which spreads across a large area. On the way to this lake, you will pass thorough verdant natural forests and beautiful tea gardens. This lake is situated in its namesake tourist spot of the region, which is gradually gaining popularity. You can explore the picturesque surroundings of this lake while enjoying a boat ride on its calm waters. To the south of this picturesque lake is located a prominent tourist attraction, called Krishna Nagar. A short walk from here leads to the Bokar Monastery, which was founded in 1984 by Kyabje Bokar Rinpoche. After meditating and relaxing in the tranquil environs of this monastery, head to Rameetay Dara. From this vantage point, you can view the spectacular sunset against the backdrop of snow-capped mountains. After an enthralling day, retire to the hotel for an overnight stay. The following morning, have breakfast and drive to the Bagdogra Airport or NJP Railway Station for your onward destination.